‘Burning’ stars Steven Yeun and Jeon Jong-Seo have decided to skip exclusive interviews with the Korean Press at the 71st Cannes Film Festival. On May 15, both stars headed to Cannes, France for the 71st Cannes Film Festival to represent their film, ‘Burning’. However, they ran into a rough start even before the event began, when both actors got involved in separate controversies. While they intend to participate in all promotion events for ‘Burning,’ the two have decided to skip out on the interview with the Korean press. Whether they made this decision because of their controversies or not is unknown. Jeon Jong-Seo, a rookie actress, created controversies when she appeared at the airport to head to France. When she arrived at the airport, lots of press and cameras were waiting to take pictures of her. However, the actress seemed rather surprised and distressed by the actions of the press, and started hiding her face with her clothes and passport, expressing discomfort. Previous to Jeon’s agency, actor Steven Yeun also ran into a controversy for “liking” a post with connections to Japanese imperialism. 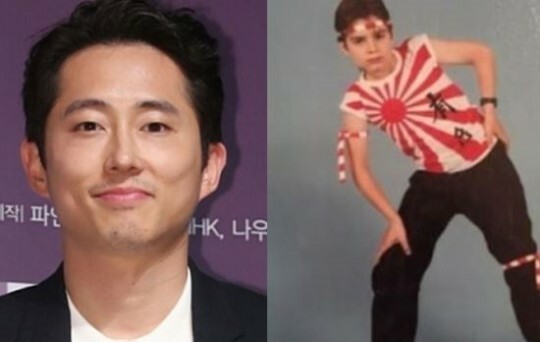 On May 13, Steven Yeun clicked “like” on filmmaker Joe Lynch’s picture where a little boy was wearing a t-shirt that had a symbol for Japanese imperialism era, which is equivalent to Nazi’s Swatstika for South Koreans. Even after he posted an apology in both Korean and English, the criticism continued. However, some argue that them skipping out on the Korean interview has nothing to do with their controversies. Previously, Jeon Jong-Seo’s agency stated that she will participate in a solo interview after she returns from Cannes. They decided to do so in consideration of the actress, who is a rookie and has no experience in participating in a big press conference. Meanwhile, film ‘Burning’ is premiering on May 16 at the Cannes Film Festival. Much anticipation is rising regarding what score the film will receive from the judges.